The Universe is home to numerous exotic and beautiful phenomena, some of which can generate almost inconceivable amounts of energy. Supermassive black holes, merging neutron stars, streams of hot gas moving close to the speed of light ... these are but a few of the marvels that generate gamma-ray radiation, the most energetic form of radiation, billions of times more energetic than the type of light visible to our eyes. What is happening to produce this much energy? What happens to the surrounding environment near these phenomena? How will studying these energetic objects add to our understanding of the very nature of the Universe and how it behaves? 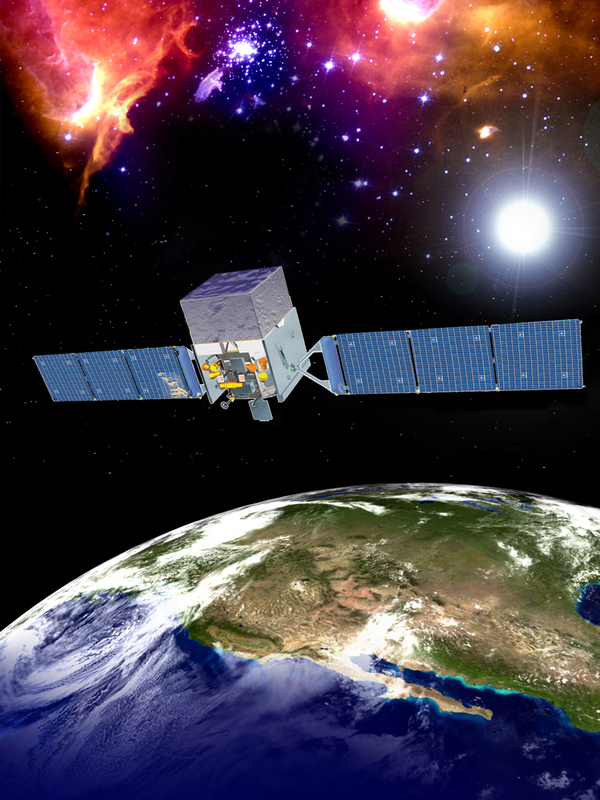 The Fermi Gamma-ray Space Telescope, formerly GLAST, is opening this high-energy world to exploration and helping us answer these questions. With Fermi, astronomers at long last have a superior tool to study how black holes, notorious for pulling matter in, can accelerate jets of gas outward at fantastic speeds. Physicists are able to study subatomic particles at energies far greater than those seen in ground-based particle accelerators. And cosmologists are gaining valuable information about the birth and early evolution of the Universe. For this unique endeavor, one that brings together the astrophysics and particle physics communities, NASA has teamed up with the U.S. Department of Energy and institutions in France, Germany, Japan, Italy and Sweden. General Dynamics was chosen to build the spacecraft. Fermi was launched June 11, 2008 at 12:05 pm EDT. Astronomers found a pulsar hurtling through space at nearly 2.5 million miles an hour - so fast it could travel the distance between Earth and the Moon in just 6 minutes. The discovery was made using NASAâ€™s Fermi Gamma-ray Space Telescope and the National Science Foundation's Karl G. Jansky Very Large Array (VLA). 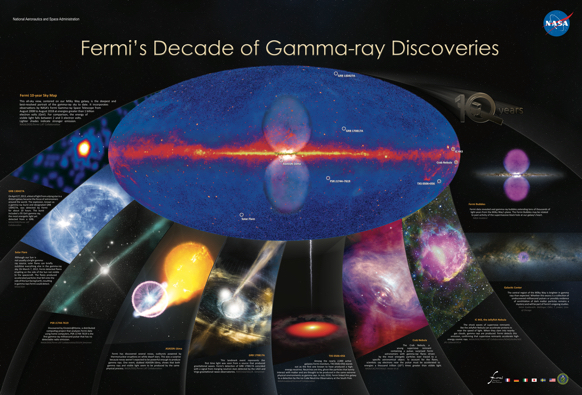 As a supplement to the preliminary release of the fourth catalog of Fermi-LAT sources (4FGL), the updated model of interstellar gamma-ray emission that was used for the catalog analysis is also being made available. This new model, gll_iem_v07.fits, is provided as a FITS cube together with a detailed description of the construction of the model, including a set of caveats describing aspects of the model that will be updated in a future release. Accompanying the interstellar emission model are models for the isotropic emission for different LAT response functions and event types. As for the 4FGL catalog, the interstellar emission model and isotropic spectra were developed using Pass 8 P8R3 event selections. You can find more information about the new files on the LAT background models page. The Ninth International Fermi Symposium will be held at the Misty Hills Conference Centre in Johannesburg, South Africa from March 29 to April 3, 2020. More details will be posted on the symposium website as they become available.